We have been getting numerous rumors about the next generation iPhone and iPad. And now, Engadget is reporting they got some information from “reliable sources,” on the the iPhone 5, iPad 2 and the next generation of the Apple TV. Engadget reports that the iPad 2 isn’t close to launch as some sources have previously speculated. Also, the iPad mock-ups shown before were early versions, suggesting the iPad 2 may look much different from what we’ve seen, and launch may be long time away. The sources reported that the iPad will launch around April (which goes perfectly with Apple’s 1 year product cycle). Engadget was told, the device will be thinner, sleeker, and will sport a new screen resolution, and technology. The technology will be very close to the iPhone 4s Retina Display, though not the same. The screen is expected to be “super high resolution”, though no specific dimensions were given. 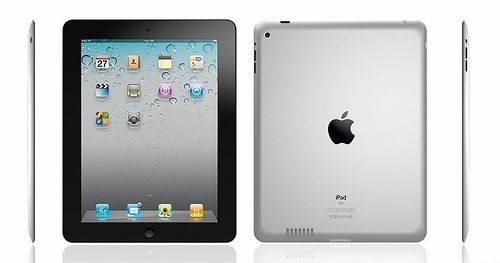 The iPad 2 will remain at 10 inches, however it will feature both front and back-facing cameras. And surprisingly, the sources report that there will be no traditional USB slot, but a dedicated SD slot built in. The second generation iPad will have dual GSM/CDMA chipset produced by Qualcomm. This will allow the iPad to be offered on AT&T and Verizon simultaneously, instead of producing two separate models. After the iPad, the next device waiting in line to get a refresh is the iPhone. According to Engadget, the next generation iPhone will be completely redesigned. The device is currently being tested by senior staff at Apple. Engadget reports that they do not have much information on this device, but the iPhone 5 will feature Apple’s new A5 CPU. Like the iPad 2, the iPhone 5 will also feature a Qualcomm chipset that does GSM / CDMA / UMTS simultaneously. The sources claim there is no LTE.